About fifteen years ago, my mom and stepdad took my brother, stepsister, and me on a Mediterranean cruise aboard the Grand Princess (which, at the time, was the largest cruise ship in the world). We had never cruised before, but we discovered very quickly that we were very good at it. We toured during the day (the Blue Mosque in Istanbul, the Acropolis in Athens, the Sagrada Familia in Barcelona) and gambled, partied, and generally raised a ruckus at night. Every evening, we scoured the next day’s list of cheesy cruise-ship activities and planned accordingly. We entered a Pictionary competition (my “nose job” drawing remains legendary to this day), we ruled at trivia, we sang karaoke, we played bingo. And, one evening, we decided to check out the hypnotist’s show. The show began with the hypnotist asking for volunteers to come on stage to be hypnotized as part of the show. When my stepsister raised her hand, my brother and I went crazy. At that age, my brother (John) and I had no qualms being loud and obnoxious. My stepsister, Lindsay, on the other hand, was a little quieter and more reserved. She was every bit as hilarious and ridiculous . . . she was just a little more polite about it. So, my brother and I were surprised that she was volunteering to go on stage in front of a roomful of hundreds of her fellow cruise passengers. And we were determined to make it happen. We whooped and pointed and screamed, “Pick her! Pick her!” And pick her he did. About ten chairs sat in a long row on stage facing the audience. Lindsay and the other volunteers assembled themselves in the chairs, and the hypnosis began. The hypnotist told them to close their eyes. After some preliminary mumbo jumbo, the hypnotist said, “When I snap my fingers you will all fall into a very deep sleep.” John and I waited with bated breath. *SNAP* went the hypnotist’s fingers, and *FLOP,* all the volunteers’ heads bobbed down restfully, their arms dropping languidly by their sides … except for Lindsay. Lindsay’s sleep appeared deeper than anyone else’s. She slumped down in her chair, sliding hallway off, mouth hanging fully open, hair falling in her face. I lost it. On the one hand, my rational brain told me that this could not be real. But, on the other, Lindsay would never, ever act like this in front of an audience of complete strangers. John and I looked at each other and laughed so hard we had tears streaming down our faces. After interacting with some of the other sleeping volunteers, the hypnotist arrived at Lindsay. He told her to open her eyes and tell him the male celebrity she found most attractive. “Ben Affleck,” she said (keep in mind, this was years ago—back when Ben Affleck was just the co-writer of Good Will Hunting and BFF with Matt Damon). “Close your eyes. Now, when I snap my fingers,” the hypnotist said, “you will open your eyes and realize that the man sitting next to you is Ben Affleck. You will do everything in your power to get him to fall in love with you. Nod your head if you understand me.” Lindsay nodded. The hypnotist turned to the guy sitting next to her. “When I snap my fingers,” he said, “you will open your eyes, and you will believe that you are Ben Affleck. Nod your head if you understand me.” The guy sitting next to Lindsay nodded. Lindsay’s eyes popped open. She looked around curiously. “Look to your left,” the hypnotist suggested. Lindsay turned to her left (to the very plain-looking guy sitting next to her) and noticeably started. She blushed. She lowered her head a bit, batted her eyelashes, and said coyly, “Hi.” “Yeah, hey,” the dude responded coolly. The hypnotist nonchalantly moved on to his next victim. But Lindsay was still laser focused. She kept stealing glances at “Ben Affleck” and shooting him smiles. When that didn’t work, she bit her lip suggestively and even ran her hand up his leg. My jaw dropped. This was not typical Lindsay behavior. John and I were laughing hysterically. Before seeing this show, I was convinced that hypnosis (especially stage-show hypnosis) was complete hooey. The hypnotist planted “volunteers” in the audience who faked being hypnotized. But seeing Lindsay up there acting like this had thrown me for a loop. She was acting in a wholly uncharacteristic manner. Could this hypnotism thing be legit? That was my one and only experience seeing a hypnotist at work. Stage-show hypnotists are relics at this point, found only in Vegas or sailing the high seas. And, unless you’re trying to kick a particularly bad smoking habit or unlock suppressed memories, it’s unlikely you’ll see a hypnotist in your normal daily life. But there was a time when they were a lot more popular. 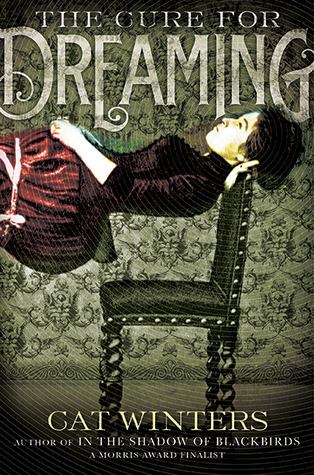 And Cat Winter’s new book, The Cure for Dreaming , takes us back to that day and time. It is just before the turn of the twentieth century in Portland, Oregon. 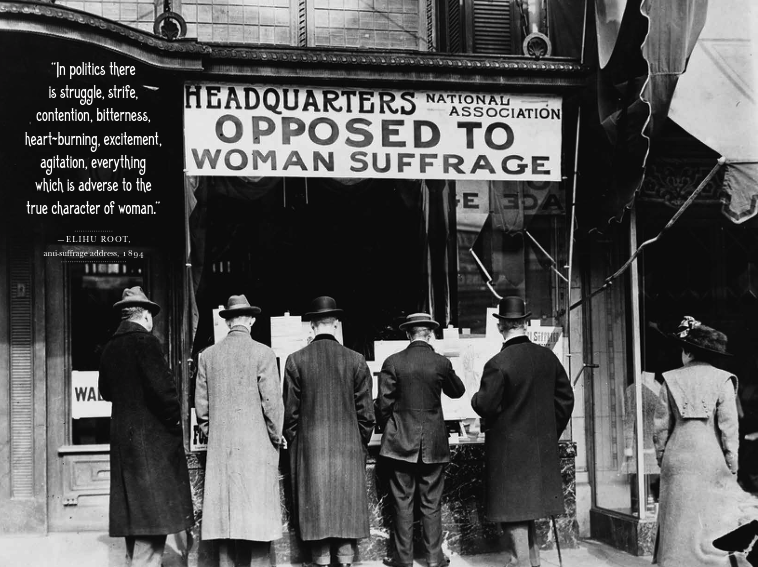 Neighboring Idaho has recently given its women the right to vote, but Oregon’s anti-suffragist movement is still holding strong. Henri Reverie, a famous stage hypnotist, is performing in Portland on Halloween night, and Olivia Mead attends the show with some friends. When Olivia volunteers, her friends (like John and me) are good enough cheerleaders to convince Henri that he should bring Olivia on stage. As it turns out, Olivia is highly susceptible to hypnosis. All Olivia remembers is being put in a trancelike, dreamlike state where she felt “divine.” She can vaguely recall some of Henri’s words and directives, but it is not until she has returned to her seat, amidst audience titters, that her friends tell her that Henri put her in a deep sleep, laid her as stiff as a board with her head on one chair and her feet on another, and stood upon her corseted stomach. When Olivia returns home and tells her father about the hypnotist’s show, he confronts her about another bit of news he heard: earlier that day Olivia had participated in a protest with women of the Oregon State Equal Suffrage Association on the courthouse steps. He is horrified by her behavior and worried that it will cost him some of his upper-crust dental clients. The brute’s red eyes gleamed bright and dangerous, and his skin went deathly pale and thin enough to reveal the jutting curves of the facial skeleton beneath his flesh. His graying beard resembled the flea-infested fur of a rat. This new worldview (pro-suffragist women literally glow; rich, lecherous young men look like vampires) is informative, but both frightening and frustrating to Olivia. She is trapped with these new visions, able only to say, “All is well,” at the most inopportune times. And yet her father is not satisfied. He will not stop until every thought that Olivia has about education or suffrage or temperance is completely squelched, and she accepts that the only appropriate place for her is in the house, keeping her husband happy and raising children. This is a YA book, and it feels like the book has been dumbed down a bit for its target audience (an awful, awful trait in a YA book). The symbolism is extremely obvious. The message is not at all subtle. But the book is by no means all bad. The setting is awesome. The book is full of references to pompadours and puff-sleeved dresses and horse-drawn carriages and top hats and even the odd “dusky walrus mustache.” If you know and love Portland, it’s definitely fun to read about the city over a hundred years ago (with a surprising number of familiar street names and monuments already in place). And that turn-of-the-century setting is further realized with the inclusion of the occasional black-and-white photograph or drawing and relevant quotations from the era (like this Susan B. Anthony gem from the hilariously entitled “The New Century’s Manly Women”: “I may not be here to witness the full fruition of this balancing of the sexes, but already we see the promise of its coming, and future generations will reap its blessings.”). Although the symbolism of Olivia’s new visions is a little too obvious, the descriptions of the visions themselves are delightful—at times super creepy, at others almost ethereal. Similarly, even though the message is not subtle, it’s still a good one . . . and the history is good for teens to know. Who should read it: Bonnie (i.e., people who, like Olivia Mead, have Halloween birthdays and are thus “charmed individuals.” According to Henri Reverie, legend has it that people born on Halloween can “read dreams and possess lifelong protection against the spirits”). This would be a good book for high school kids (especially girls), but it’s not a great crossover YA book (that is to say, I think it would be enjoyed more by its target audience than by adults). DISCLAIMER: I received a free copy of this book from the publisher, Amulet Books, through NetGalley in exchange for an honest review. This entry was posted in Rating: 3/5 and tagged Book review, Book Reviews, Books, Cat Winters, NetGalley, Suffrage, The Cure for Dreaming. Bookmark the permalink. We just watched the movie Trance: http://www.imdb.com/title/tt1924429/. Seems like these two might go well together! I’ve never even heard of Trance. Looks like it’s not available for streaming on Netflizzy or Amazon Prime, which is mildly annoying. You can’t even rent it on Amazon; you have to buy it. Booooooo. Normally, I would just throw in the towel, mais j’adore Vincent Cassel, so I shall persevere . . .
Great review! I agree, it’s a good read but I know exactly what you mean about things being dumbed down and some of the visions were a bit too obvious! But it may work well for younger readers 🙂 Also, Trance is a great film but very different and more adult than The Cure For Dreaming!